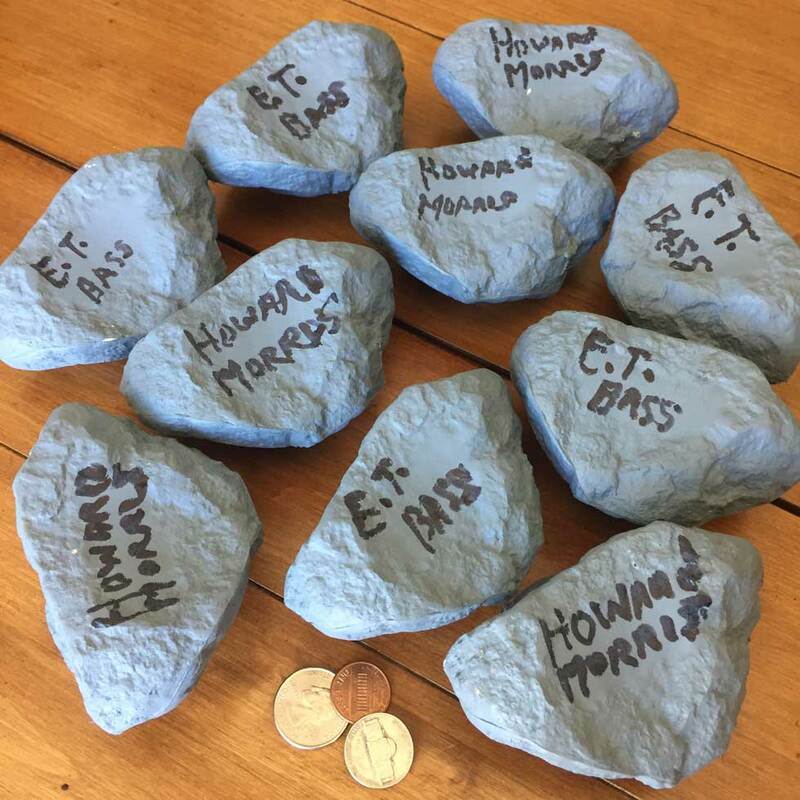 Howard Morris Signed Rubber Rocks! STILL AVAILABLE – APRIL 2019 – LIMITED SUPPLY: This is a very special situation. 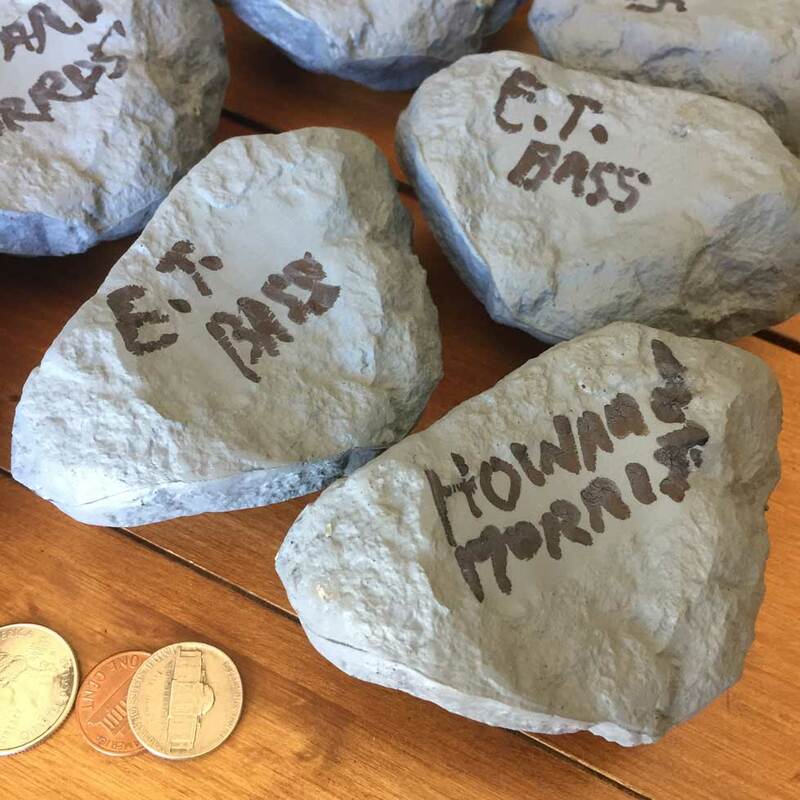 Howard’s son, David, recently found a number of spongy rubber rocks in storage –>hand signed by Howard Morris himself back in 2002/2003! David conducted the signings with his late father. A black Sharpie ink pen was used. Some rocks have the words “E.T. Bass” while others have “Howard Morris.” These spongy rocks are one of the rarest finds of any Howard Morris or Ernest T. Bass signed collectable. Condition of rocks range from GOOD to VERY GOOD. Includes a sworn statement of authenticity signed by David Morris. All rock sales are final and cannot be returned. Includes free “BASS FOR PRESIDENT” bumper sticker! Same day shipping on most orders. Signed as “E.T. Bass” Price: $69.00 ea. Signed as “Howard Morris” Price: $69.00 ea. **For normal Credit Card checkout, click the yellow PayPal button, then “Pay with Debit or Credit Card." You DO NOT need a PayPal account. $3.99 PRIORITY 2-3 DAY SHIPPING, EVEN WHEN YOU BUY MULTIPLE ITEMS!